The development of vocal group harmony throughout the 20th Century has several watershed moments, including the rise of Doo Wop as a tributary of RnR in the Fifties, but the first major step that took the genre out of church and the field was the unstoppable rise of network radio. By 1945 the genre was split into three routes a/ the gospel orientated “jubilee” style which enjoyed crossover appeal b/ the jump jive styles which enjoyed an almost exclusive Black following or c/ the embracing of the pop crossover style. Into this scenario came the teenage orientated groups. 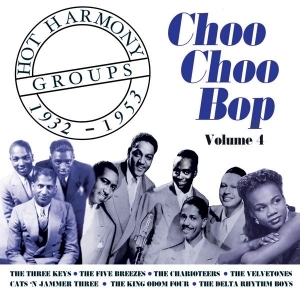 20 examples of the many styles of black vocal group harmony from the early 30s to the early Fifties, beginning with the jump and jive sounds of the earliest groups to record in the 1930s to those recordings made in the late forties and early 1950s when the sound had truly began its journey down the Road to Doo Wop.